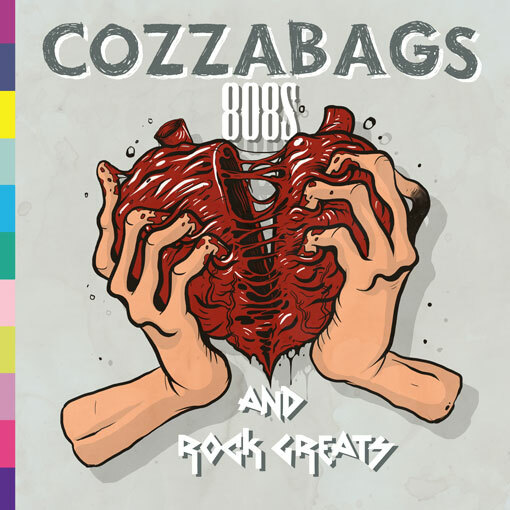 The latest mixtape by Cozzabags is a 15 track offering, called 808s and Rock Greats. The mixtape is inspired in part by the Kanye West album, 808s and Heartbreak, with the twist of using samples of well known Rock songs alongside the 808 Drum Machine. Where as the Kanye West album mood was melancholic and harrowing, this takes the opposite approach. Several songs have received acclaim prior to the mixtape release, including This Town being featured on well respected Tone Deaf Mixtape (#61), as well as making it to number 2 on the Triple j Unearthed Hip Hop charts. On top of this, the Punk enthused Dead Kennedy’s tribute track Gina Rineheart Über Alles gained enough interest from lead singer Jello Biafra for him to request the lyrics. Cozzabags has recently returned to Australia after spending nearly a decade living in London and backpacking the globe. He has performed at prestigious UK venues such as Vibe Bar in Brick Lane, The Enterprise in Camden and I Luv Live in Hoxton. The album release date is July 9th (today) inline with the theme of the album – Birthday of one of Rock’s greatest front men, AC/DC singer Bon Scott. To download the album now head here.